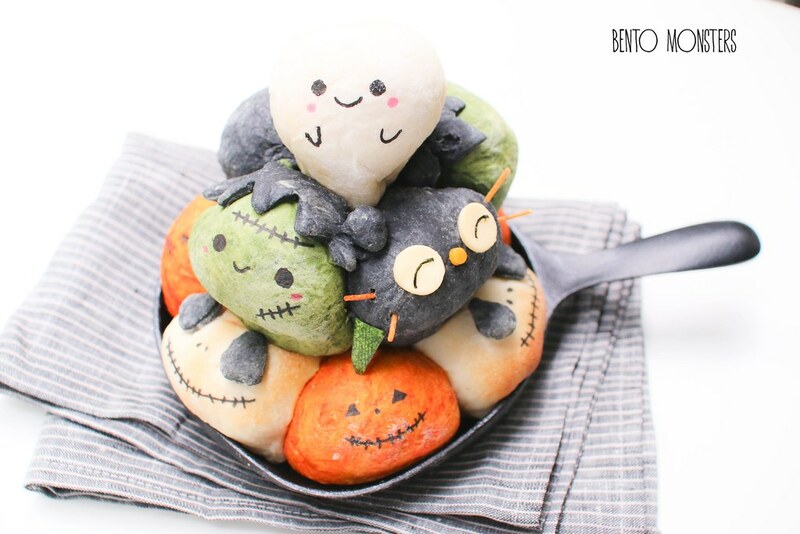 Before I proceed with the chigiri pan I made for Halloween, I'll like to share about my bento book giveaway over at Just One Cookbook. 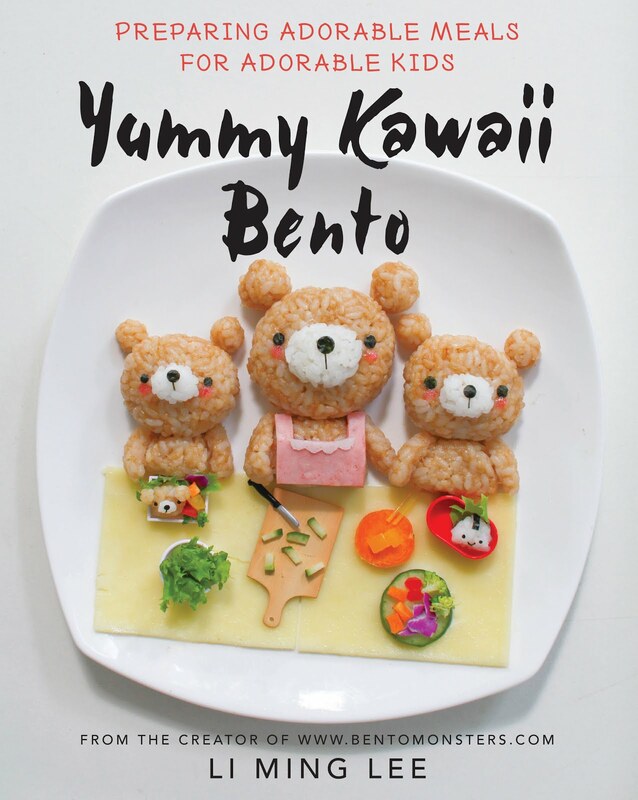 My friend, Nami has also uploaded a video of how she did one of the recipe in my bento book. Go and check it out. That's not all, if you win, in addition to my cookbook, you can also receive $100 worth of goodies from BentoUSA. Giveaway is open internationally. Good luck! 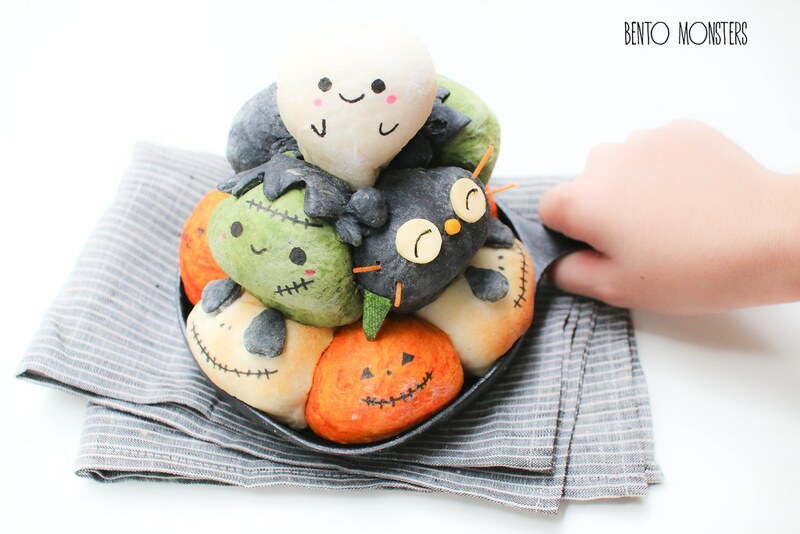 This Halloween chigiri pan shall be my last Halloween creation for this year. The Halloween characters I made were Jack(from Nightmare before Christmas), Jack o'lantern, black cat, ghost and Frankenstein. Sorry, I don't have any recipe to share for this, I'm still need more trials with making different coloured dough. I used matcha for Frankie and charcoal powder for the black cat. I was out of carrot powder and orange food colouring, so I used a mix of pink and yellow food colouring for the Jack o'lantern. The colours ended up a little patchy and too vibrant for my liking. I need to get more vegetable powder when I go to Japan during the holiday, they work the best. Not sure if you noticed, Jack is slightly browned, because I was a little too late in covering him with aluminium foil. I remembered later for the little ghost, so he's really white, lol. 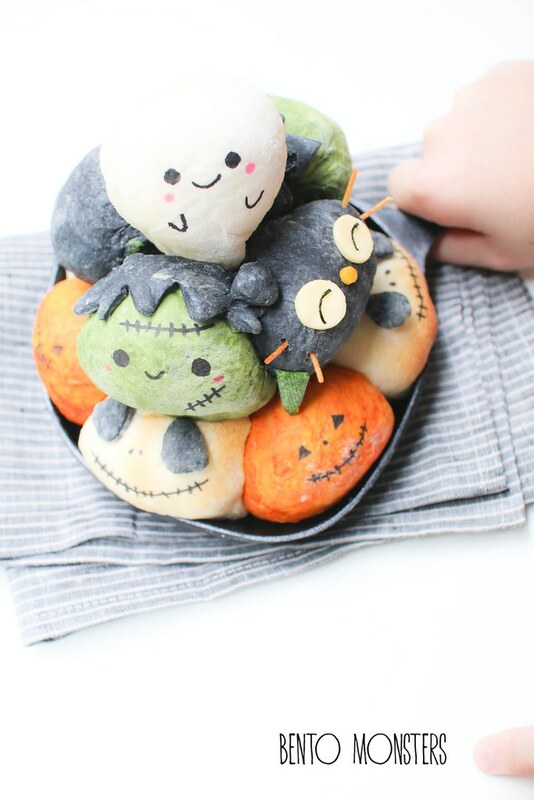 These are ALL adorable. The cat reminds me so much of Sanrio's Chococat! Super cute! I love these adorable pull-apart bread but I hate colouring the bread dough different shades, so hard to mix in evenly. Have a great Halloween weekend!